Being part of a marathon was always an attempted item in my bucket list. However, tight schedules prevented me from participating in any. Every year, there’d be four or five 10K’s or 20K’s at Trivandrum, Kochi, Bangalore or Mumbai. Each time the announcement came out in the press, I’d make a mental note to start training, only to conveniently forget about it later on. It didn’t exactly help that I was steadily gaining kilos (as well as continuous deposits of flab and inertia) over time. However, Automattic’s Worldwide WordPress 5k Run 2015 (WWWP5K), was an event that excited me like no marathon ever could! WWWP5k had its ‘official’ inception on September 29, 2013, when a bunch of Automatticians (home-grown fitness freaks themselves) decided to do something tangible to stay healthy, and invited other WordPress lovers across the world to join them. Yeah, the event was a runaway success. So, this edition of WWWP5k kick-starts tomorrow (26th October 2015) till Sunday (November 1st 2015). If you’re interested, you can take part in the event between these days. The requirement? You should be a blogger using the WordPress platform (Not yet on WordPress? Create a WordPress.com blog for free!!)! So, wherever you are in the world, if you’re free over the next week – do a 5k run! Feel free to use a smartphone/pedometer to measure your distance and check your route. You can also do the run indoors in the comfort of your home, with your very own treadmill. 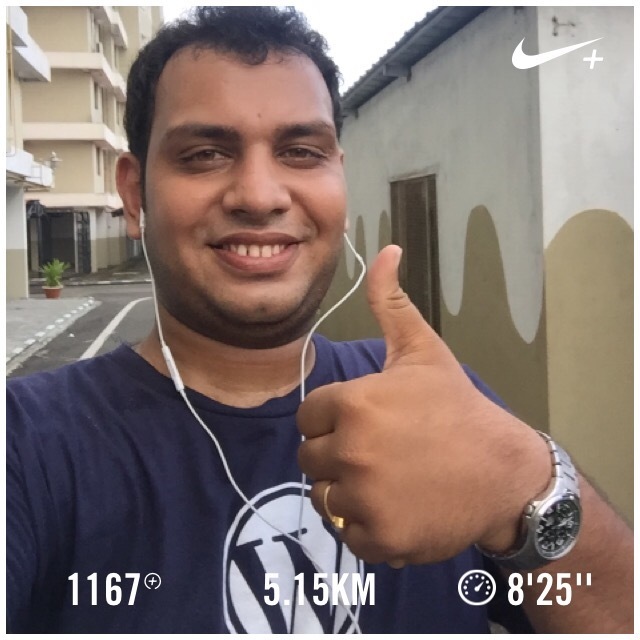 Blog about your run, and share your selfies too (with the tag ‘WWWP5k‘ on your WordPress.com blog, or a linkback to this page [link: https://en.blog.wordpress.com/2015/10/23/wwwp5k-2015/ ] if you’re self-hosted). ← To Follow Your Heart Or To Follow Your Brain?